2019 is officially here! Do you have a New Year’s resolution yet? Try adding Swim for MS to your resolutions list this year. You can create your very own Polar Bear Plunge, form a team with your friends and family, or pledge to swim 100 laps this month. Last year, those who participated in Swim for MS helped raise more than $33,000 for the MS community. Let’s make this year even better – sign up today and create your own Swim for MS challenge! Congratulations to Samantha Stettner for being our top Swim for MS Fundraiser for the month of December! YOU could be the top Swim for MS fundraiser during the month of November! Register to swim this month and we’ll reveal the top fundraiser of the month in our next Swim Monthly Medley email. 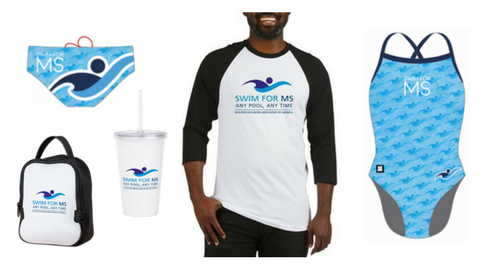 Looking for more Swim for MS gear? Check out our CaféPress site, as well as our Swim for MS Partners, HardcoreSport and Endless Pools! Swim for MS is MSAA's signature fundraiser in which volunteers create their own unique swim challenge while recruiting online donations from supporters. Swim challenges can range from swimming laps for pledges to jumping cannonballs for cash. 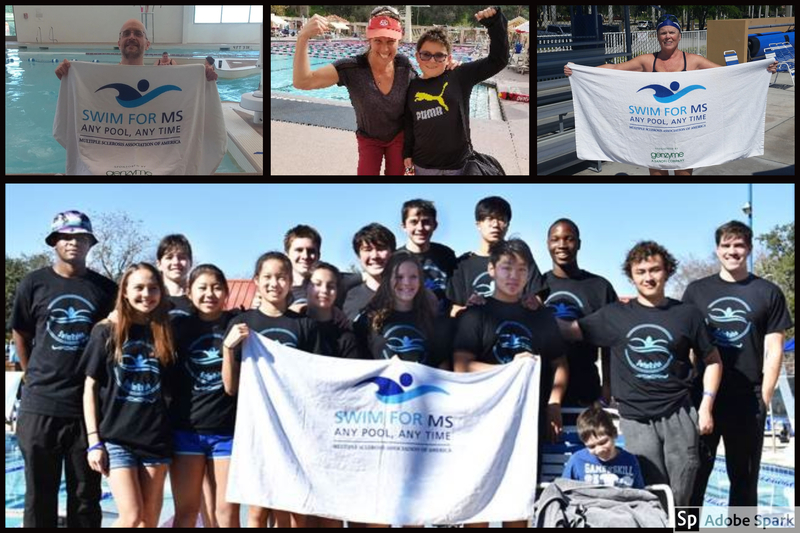 Swim for MS appeals to swim enthusiasts of all ages, social and community groups, students seeking volunteer service hours, and families enjoying their backyard pool. For more information and to register, please visit SwimforMS.org. The Multiple Sclerosis Association of America is a national nonprofit organization and leading resource for the entire MS community, improving lives today through vital services and support. MSAA provides free programs and services, such as: a toll-free Helpline; award-winning publications including a magazine, The Motivator; website featuring educational videos and research updates; S.E.A.R.C.H.™ program to assist the MS community with learning about different treatment choices; a mobile phone app, My MS Manager™; My MSAA Community, a safe online peer-to-peer network where members share their experiences with MS; a resource database, My MS Resource Locator; equipment distribution ranging from grab bars to wheelchairs; cooling accessories for heat-sensitive individuals; educational events and activities; MRI funding and insurance advocacy; and more. For additional information, please visit http://www.mymsaa.org or call (800) 532-7667.